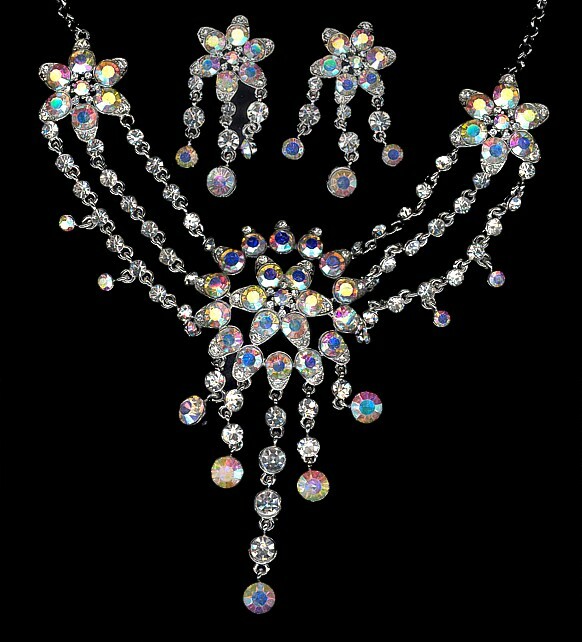 When the occasion calls for something special, or you really want to pull out all the stops to impress, this shimmering vision in clear and aurora borealis rhinestones is the business! Big and bold and very impressive, it’s just like a grown-up fairytale set with matching earrings to completely tantalise. Length 43cm (17") plus 8cm (3")extension chain. Earring drop: 5.5cm (2¾").